Recent figures show more and more people are living alone in Korea. According to Statistics Korea, the number of single households has grown to 27.2 percent of total households. Korea’s rapid economic development led to many changes in Korean society, most notable in the increasing urbanization of the country as more and more people, most of them young, have flocked to the cities in the pursuit of economic opportunities. 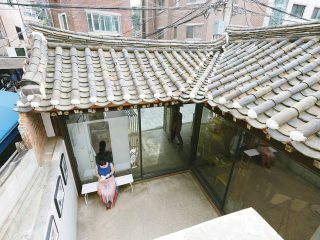 Nowadays, it’s not uncommon to find many Koreans living more solitary lifestyles than generations past. 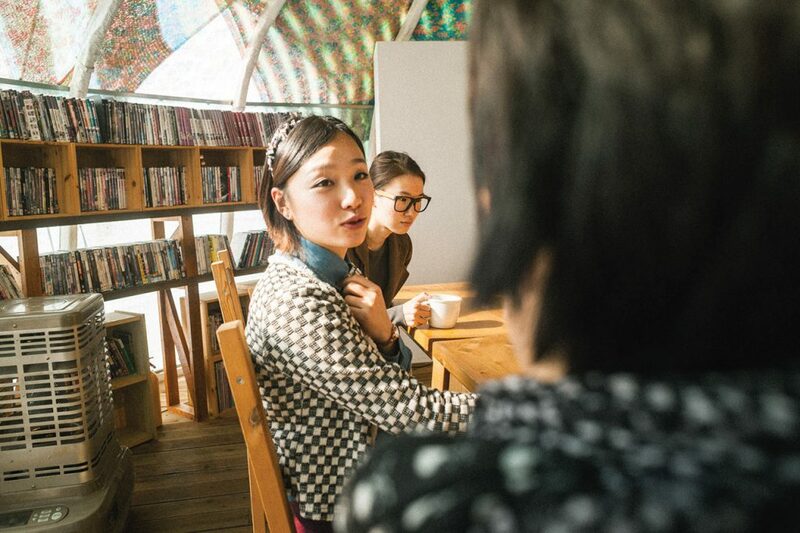 As an increasing number of Koreans find themselves living on their own, it might not be surprising that new trends in doing things alone, from eating, drinking, shopping and even living, have sprung up. However, another new trend seems to be defying the phenomena of doing it alone. The trend of “sharing lives” is spreading among young people. These young people clamor for more varied interactions and comfort in their search for connection, and they’re finding ways to bring it into their daily lives. Traditional social relations in Korea were mostly based around work, family or schools. Such relationships, the bedrock of Korean life in the past, were formed regardless of individual members’ wants or personal inclinations. People were expected to attend work, family or school groups purely out of a collective obligation. Many young people find these social masks constraining, growing exhausted from donning social masks. They want more than relationships in the organizations where they work. They want more personal, freer relationships where they’re not defined by their family background, the school they attended or their work. Such pressures are driving some young people to turn to more modern ways to connect, forming relationships of convenience, comfort and personal choice. With advances in technology and new forms of social media, it’s become easier for young people to instantly connect in many new ways, and this has allowed them to start finding their own tribes. 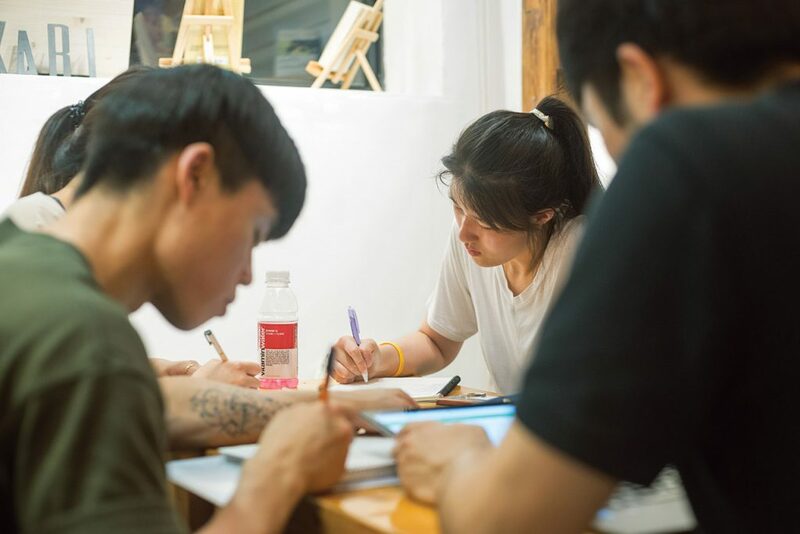 Now young people in Korea in search of different, less formal relationships with people based upon common interests are gravitating to small communities where they can find like-minded people with the same tastes to share their lifestyles. Traditionally, Koreans ate together in a large group. This is now being challenged, opening new ways of dining. More and more people are eating alone. On the other hand, social dining is catching on. This is thought to be closely linked with the rise in the single-person household. 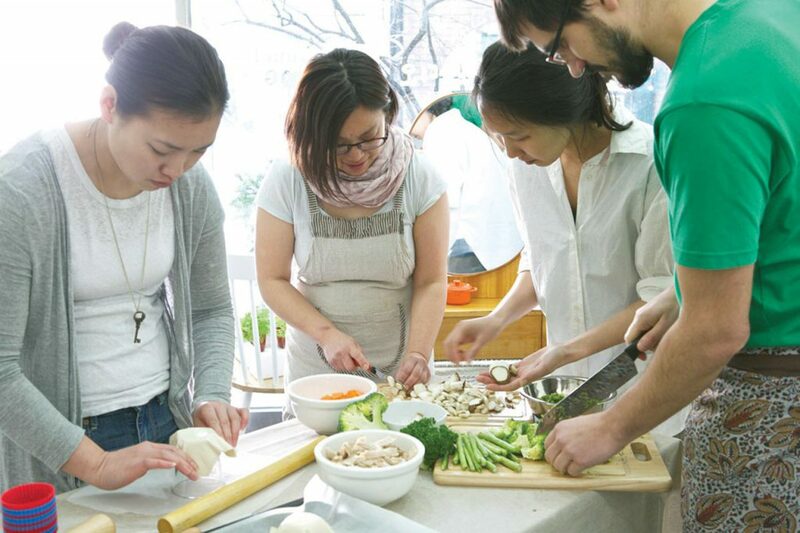 People who are unable to share meals with their families but want to have healthy eating habits are gathering together based on their common interests. People with similar interests meet through social networking sites and enjoy meals together while forming new relationships. These various dining gatherings are often organized by regions and themes. “Kinfolk” is the term for a cultural trend that has recently emerged. The term refers to a slow-living approach where strangers gather to share meals and enjoy each other’s company as if they’re a real family. People adapting the kinfolk style enjoy sharing simple but healthy food instead of eating alone. Kinfolk adherents pursue a simple lifestyle, living in harmony with nature, emphasizing a slow-paced leisurely life which they can enjoy with friends and families. The trend started to gain attention in Korea in early 2014 among those in their 20s and 30s. The rise in single-person households is said to have added to the number of people living the kinfolk lifestyle. There are restaurants with one communal table instead of several small tables. These one-table restaurants get strangers to sit down together at the same table to enjoy a meal. Diners can have conversations with each other and enjoy the company of other diners as well as the sense of kinship. The opportunity to be social may be a larger part of the dining experience. 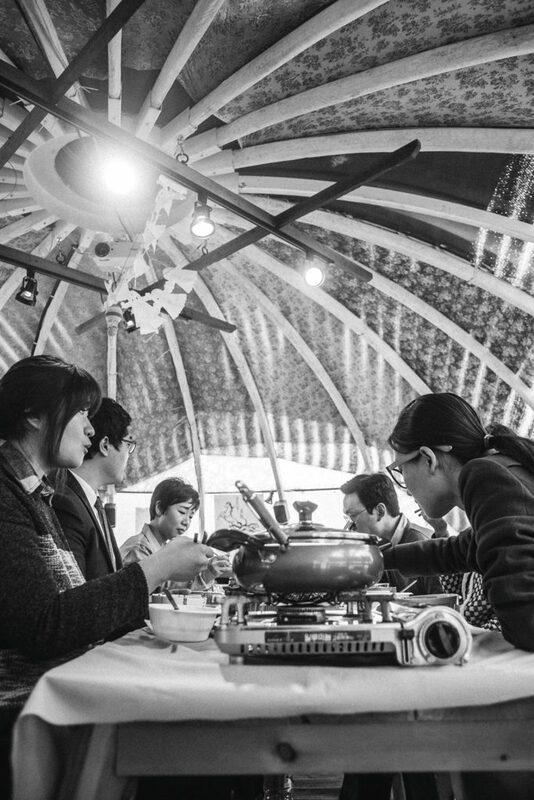 While the term honbap was coined to describe the rising phenomenon of people eating alone, a “table community” is also on the rise. Communal tables are certainly nothing new. You can share a table with a stranger at lunch counters and cafeterias. Now, some restaurants offer a more intimate dining experience by seating diners together at one table where talking to a stranger is expected. Mesiya, a Japanese restaurant located on Gyeongnidan-gil road in Itaewon, has a large communal table. Twelve people can share the table with strangers to partake in a single menu that the chef offers for the day. Diners have conversations with each other as well as with the owner of the restaurant. At Long Table, opened recently in Jayang-dong, Gwangjin-gu, Seoul, there is only one large table where 12 people can dine together. In a recent interview in a local women’s magazine, Jeong Bo-ram, the owner of this small restaurant in a corner of a traditional market place, said, “Although the number of people eating alone is increasing, sometimes they have to eat alone even if they want to share a meal with someone. When that happens, I hope people come here. If someone is sitting next to you, it’s easier to talk to each other. It would be nice to drink a glass of wine together.” Indeed, the long table serves as a meeting place for customers and the restaurant’s owners. Zipbob (www.zipbob.net) literally means home food. In this online community, Zipbob is taken to mean eating together. Zipbob has now become a popular online platform for social dining, providing various gatherings arranged according to themes such as food, culture, activities, arts, learning or charity work. Participants can search the platform based on their interests. Anyone can post on Zipbob to form new groups where users can leave comments to participate. In some cases, people who like cooking invite people under the theme of “I’ll cook for you.” In other cases, lists of places, regions, kinds of food and names of restaurants are provided, and participants just have to go to their choice of restaurant and pay for the meal. Some experts believe that the makings of a new kind of community can be found in social dining. “Unlike traditional communities, modern communities are free from obligations, so meeting and dismissing are becoming more active,” said Sogang University professor Jeon Sang-jin to the the Kyunghyang Shinmun. “With the increased and various media of communication, individuals are starting to make the best of a community through various meetings,” he added. Social dining is an opportunity for like-minded people to eat together and enjoy the company of each other. Indeed, meeting strangers to sit down together at the same table and enjoy a meal provides a comfort to those otherwise eating alone. Among young Koreans in their 20s and 30s, social gatherings where people don’t have to reveal their personal information are increasing. Through internet communities, people gather based on their region, preferences and hobbies. They don’t want to know each other’s personal information, however. They gather for the purpose of the meeting, and as such joining and withdrawing from the clubs are also made simple. Nobody forces you to come to the meetings or asks nosy questions. Young people don’t want others meddling in their lives, and they don’t want to intrude into others’ lives either. That doesn’t mean that they don’t get to know each other well. While they don’t exchange phone numbers, and they only interact via social media, they exchange their thoughts and opinions, widely and freely, within their community. 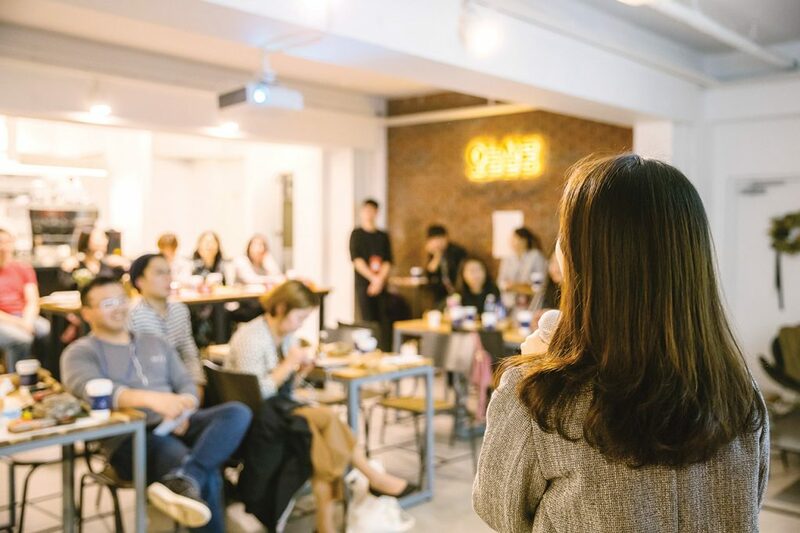 In a recent movie screening held at GongSangOnDo, a café and “alternative space” in Mapo-gu, Seoul, dozens of people gathered for a movie of which the title wasn’t announced in advance. They paid for their drinks and watched the movie Her together. After the movie was over, some people stayed longer to discuss the movie. Interestingly, they don’t ask questions about what they do for living or where they live, and they don’t make plans together, for example, to go to a cinema. They just make further movie recommendations. 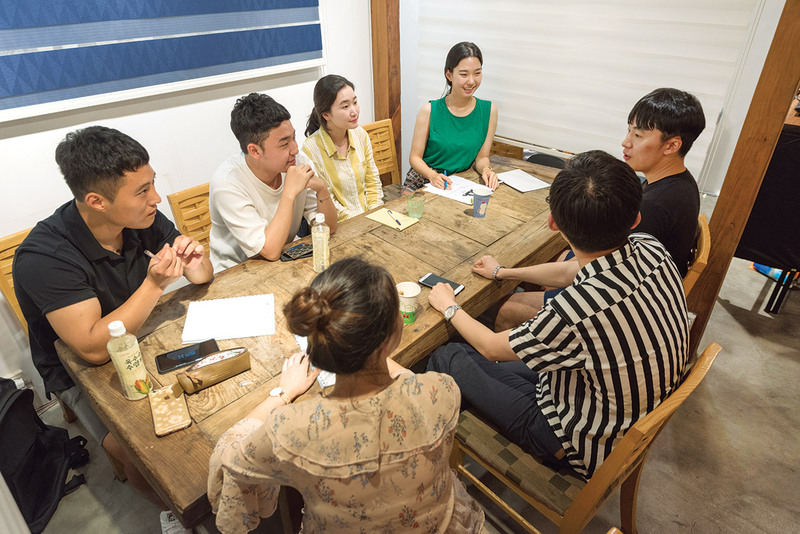 Members of the online book club Chaeksamo, which means “a group of people who love books,” got together one Friday night to have heated discussions. The members don’t ask personal questions in order to focus on the discussion of books. During their meeting, participants can engage in difficult or heavy subjects which are hard to broach in typical meetings with friends or coworkers. A salesperson surnamed Ki, who goes to a social meeting for sporting activities in Seoul, said, “Although I got used to doing things alone, that doesn’t mean I avoid meeting people.” She added, “I’m under tremendous stress at work. But when I attend these gatherings, I feel like I have another family. People are so nice and try to help each other.” The online community she joined has more than 1,000 members. If someone suggests a gathering online, those who are free and feel like participating in the gathering meet together and have fun. People unhappy with conventional relationships are attending various meetings looking for understanding and comfort. These are looser communities where people can freely and easily come and go. Nobody questions if someone stops attending. In these anonymous communities, sharing similar interests, discussing concerns or hardships and connecting in itself can be a healing process. The younger generations seem to be rejecting strong ties and being forced to maintain only conventional relationships. Instead of being completely alone, they’re looking for new ways of connecting, interacting and forming relations in a less traditional way. As long as young people refuse to be part of systems that force them to have a sense of belonging, more and more people will seek to share their lives. 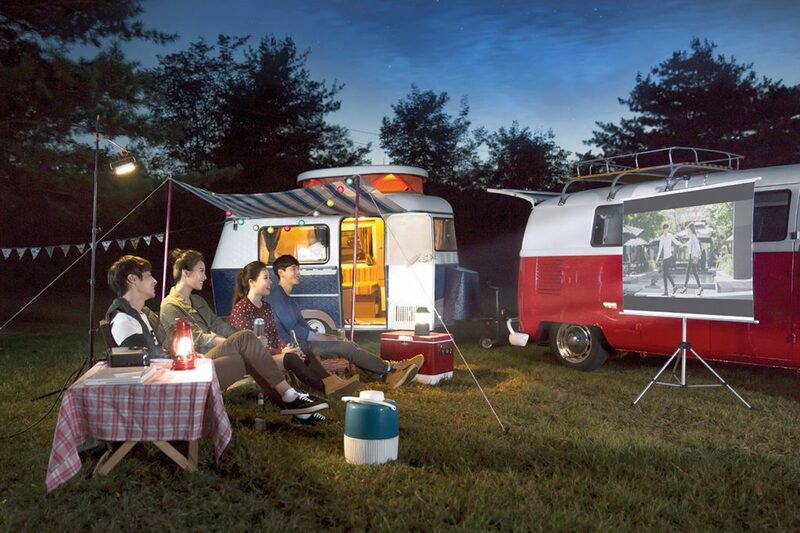 As more and more people live on their own, many are searching for ways to connect through shared interests, or “life sharing.” Here are just a couple of groups to get you started. Zipbob Its name taken from the Korean word for eating at home, jipbap, Zipbob is an online platform for social dining, a community that “restores relationships between people and where matters of interest are respected.” Starting in 2012, the service began as one that focused on dining, i.e., letting users set up group meals. Now it’s much, much more, with registered users establishing groups for things such as cooking, arts and crafts, volunteer work and cultural activities. As a general rule, the company doesn’t involve itself in the group making, allowing users to autonomously decide when, where and over what they will get together. Speaking to the Kyunghyang Shinmun, Booktique founder Park Jong-won described his “urban hideaway for books and people” as a “space not for book lovers, but a space for world-be readers who don’t currently read, a place not for reading books, but for meeting books.” With locations in Nonhyeon-dong and Seogyo-dong, Bootique is a bookshop/café that hosts a variety of events with the aim of getting people reading again, including overnight book reading sessions, beer parties in which participants read over a brew, lectures, performances, writing groups, exhibits and, of course, book clubs of all sorts. 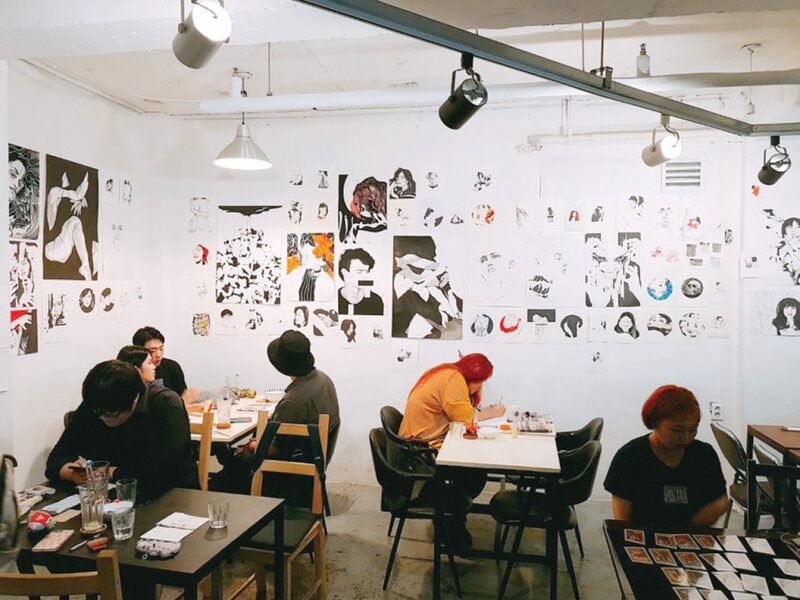 Located in Hongdae’s Donggyo-dong district, GongSangOnDo is a café-based alternative space that also functions as a pub, gallery, performance venue and art market. Employing a variety of experimental display methods, the space supports a range of performances, exhibits and creative gatherings, all with the goal of allowing younger, newer artists more opportunities to communicate with the public. Described in a local magazine as a place for all things indie, the underground space – literally, it’s in the basement – is mostly an independent book store and craft shop during the day, but at night, it hosts concerts, artistic performances, film screenings and other events. Chaeksamo means “gathering of people who love books.” Composed of book lovers in their 20s and 30s, Chaeksamo espouses seven values: promoting reading, deepening human understanding, cultivating critical skills, promoting communication, expanding minds, improving speaking ability and establishing a values system of your very own. Participants read one book a week, which they then discuss and debate. 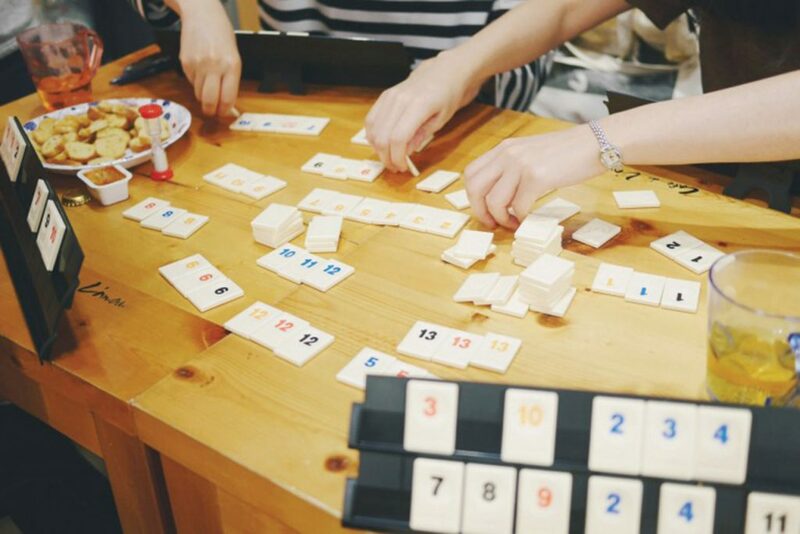 Hidden in an alley in Bukchon Hanok Village, Tium is a traditional Korean home that has been turned into a space where different groups pursue a wide range of common interests, including board games, language learning and more. On the night this writer visited, there were two groups, one studying English, the other Chinese. They’ve hosted Korean learning groups, too.